Bangor city councilors want to hold a public hearing on Gov. 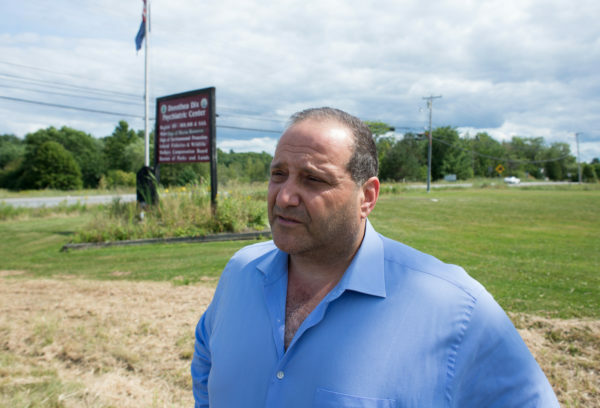 Paul LePage’s plan to build a 21-bed “step-down” forensic psychiatric facility on Hogan Road. During a workshop before their regular meeting on Monday night, councilors also directed the city’s lawyer to develop proposed language for ordinances to consider as well as a moratorium under the city’s land use code. Bangor officials appear to be growing increasingly frustrated by the lack of information they have received from the LePage administration about the facility, where inmates who have court permission could leave on occasion. “We had asked for a meeting with the governor’s office. His response to us was that we can look stuff up on the website but there was no interest in having a meeting,” Council Chairman Joe Baldacci said. The state last week tapped Cianbro Corp. of Pittsfield to build the 8,300-square-foot rehabilitation facility on state-owned land on Hogan Road, roughly across the road from Dorothea Dix Psychiatric Center, to house patients found not responsible for crimes they have committed or who are unfit to stand trial. A council majority agreed to hold a public hearing through a “thumbs up” vote at the end of the workshop. The hearing has not been scheduled, but will likely be held sometime next month, Baldacci said. Maine Attorney General Janet Mills has questioned whether LePage has the legal authority to place the step down facility outside of Augusta. “The only reason Bangor is being picked is because there’s a feud going on between the Legislature and the governor regarding this [facility being built in] Augusta,” Baldacci said. “I certainly don’t think Bangor should have any additional burdens from the state and this would be a significant addition and I’m not afraid to say that,” he said. The LePage administration believes the new Bangor facility will alleviate overcrowding at Augusta’s troubled Riverview Psychiatric Center, which lost its federal accreditation in 2013 because of overcrowding and inadequate staffing and for using handcuffs and stun guns to subdue violent patients. State officials were recently notified that the Centers for Medicare and Medicaid Services is recalling $51 million in payments made to Maine since decertification.